In his weekly column in “The Galway Independent” William Henry recorded this tragedy which occurred on the 17th august 1887. “Three young men – John Skelton Thompson, Francis John Kinkead and Thomas Leopold Roberts set out for a cruise on Lough Corrib near Headford. They had the use of a boat from the Royal Corrib Club, as boating and sailing had become very popular by this period. The three teenagers were close friends and had promising careers ahead of them. All three were engineering students at Queen’s College, Galway (NUIG). 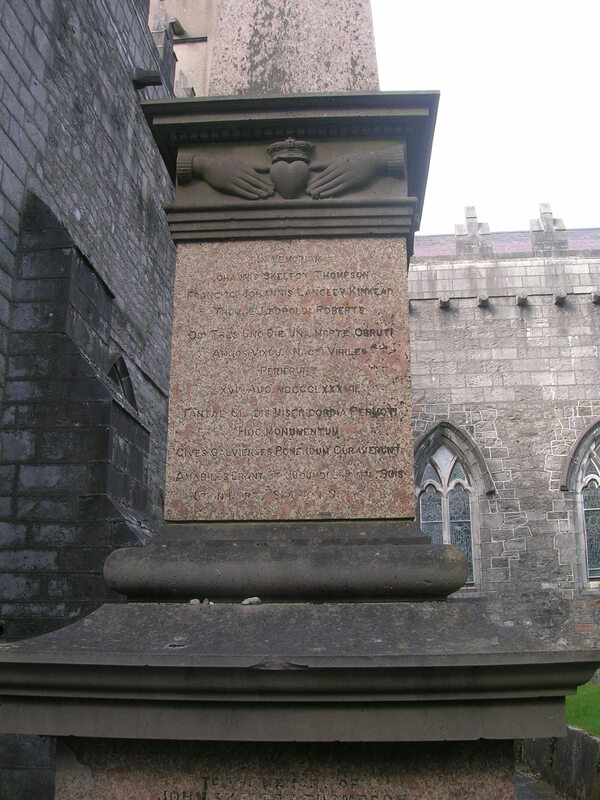 Young Thompson was the son of D’Arcy Thompson, Professor of Greek at the university: Kinkead was the son of Dr Richard Kinkead, Professsor of Midwifery and Medicine; and Roberts was the son of the Rev. 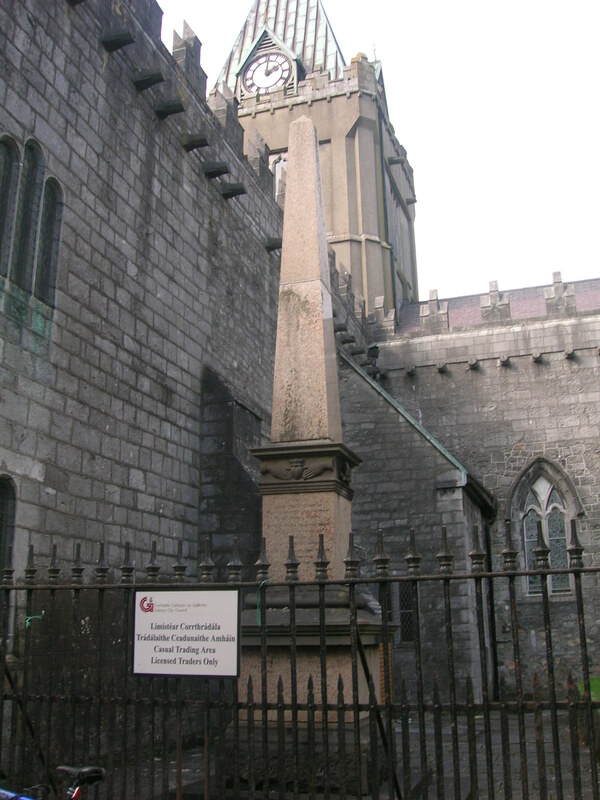 Roberts of Oughterard and was preparing to enter TrinityCollege, Dublin. The boys had gone sailing full of the joys of life, as the return to university loomed ever closer and they were determined to enjoy the last few days of the summer holidays. However, that morning was the last that anyone would hear of them. When they failed to return almost 24 hours later, the alarm was raised and a search began. Boats set out from the various places along the shore, with the searchers hoping that the boys had decided to spend the night on one of the islands that dot the lake. One reason for the search parties thinking along these lines was the fact that the boys had taken guns, ammunition and some provisions, as if they were going on a camping trip, while they did not mention this to anyone. All three teenagers were excellent swimmers and, in the event of an accident, it was hoped that they would swim to one of the islands and find refuge there. Sadly, these hopes were dashed when the body of Thomas Roberts was found close to the shore near Clydagh. Had he managed to swim a little further, he would have been able to walk ashore. The search continued for the other two boys, but all hope had by now faded and the boats moved further out into the lake. Shortly afterwards the bodies of young Thompson and Kinkead were found floating close together about 130 yards from the shore. 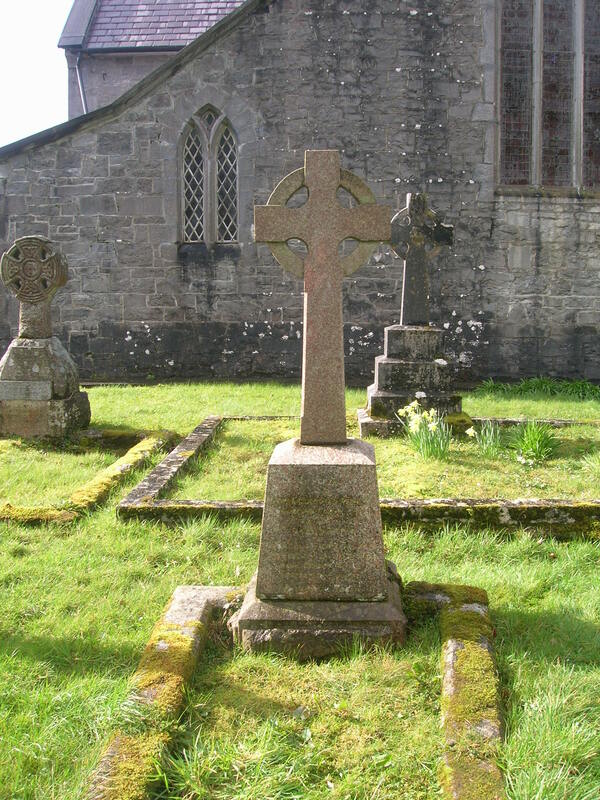 The remains of Roberts were buried in Kilcummin Cemetry, Oughterard while the other two bodies were brought to Galway where an inquest was held to try to determine how the tragedy occurred. The cause of the accident was not known for certain, but there was speculation as to how it occurred. The boat was found with the sail tied down, which was a very dangerous course of action to take when sailing. Experienced sailors would not do this because of wind changes, as it would capsize the boat. It was believed that a ‘whirlwind’ upset the boat and the boys were thrown into the water. It is interesting that the plaque also had an inscription in Greek, the only one of its kind in Galway. Perhaps this was included because of young Thompson’s father being Professor of Greek at the university. This page was added on 02/03/2012.